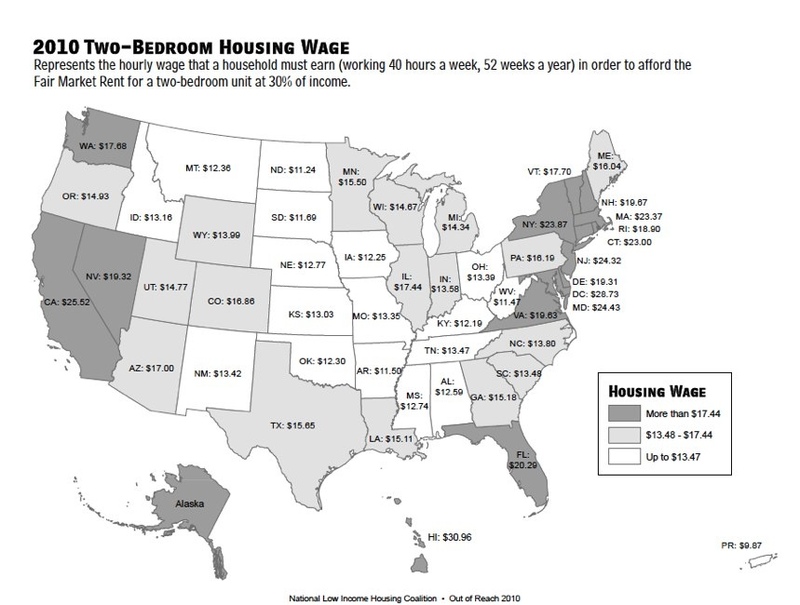 NLIHC: National Low Income Housing Coalition has released their annual report on rents and wages: Out of Reach 2010. 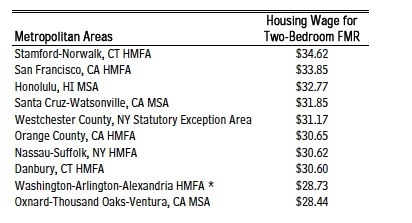 This report basically looks at the area’s Fair Market Rents (FMR) for 30 percent of income on housing. This is their Housing Wage. 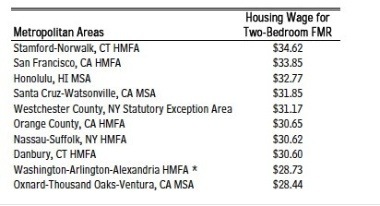 They find that extremely low income renters are paying about 71 percent of their income for housing. This number has been this way for as long as I can remember. This, however, is not a housing crisis. A housing crisis, I guess, occurs when homeowners and bankers make bad decisions about borrowing. I’m writing a piece on this right now, on the “too big to fail” logic surrounding homeowners. Ideas welcome.